Woodbridge, United States - February 5, 2019 /MarketersMedia/ — Surviveware, a favorite brand among hikers, campers, hunters, and survivalists, is pleased to announce that its medical-grade Trauma Shears have received 450 customer reviews on Amazon. The company prides itself on providing high-quality products tailored to the unique needs and requirements of adventurers. Surviveware’s commitment to this goal is evident in its high-grade trauma shears. 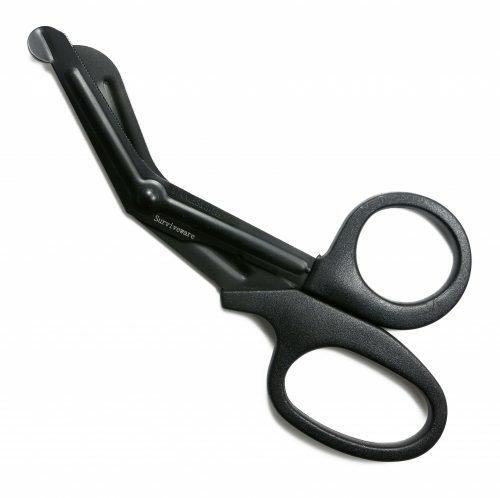 The Surviveware Trauma Shears are made of bonded stainless steel and are glazed with premium black fluoride coating. These materials make the scissors durable and capable of cutting through heavy cloth materials such as bandages, seatbelts, and denim. Surviveware’s trauma shears are tested for endurance and durability. In addition, the fluoride coating prevents adhesives from sticking to the blades, so they cut smoothly time and time again. The high-quality coating keeps the shears from dulling easily due to snags or sticky residues. Surviveware’s medical-grade Trauma Shears are ergonomically designed to fit perfectly in one’s hands. The shears have a large finger opening and thumb hole which fit comfortably in an average-sized hand. This feature provides extra comfort and prevents blisters from forming. Surviveware’s shears are lightweight and great for backpacking, hiking, hunting, fishing, boating, and trail riding. One pair only weighs 1.76 ounces and can be conveniently carried inside a first aid kit, tackle box, or rucksack. The blades are blunt-tipped, so users need not worry about puncturing or snipping the skin while cutting through clothing and other restrictive fabrics. Find out why people are inclined to choose Surviveware’s Trauma Shears over other shears on the market by purchasing one today. Not convinced? Not a problem! Surviveware offers "no-questions-asked" money back guarantee! It’s the company’s way of showing the utmost confidence in its products. Take this opportunity and grab your medical-grade shear today by clicking here.